Pack the 11th (Mon) with family-friendly diversions at Linnanmaki Amusement Park. The adventure continues: learn about all things military at Sea Fortress Suomenlinna, take in the spiritual surroundings of Kamppi Chapel of Silence, admire the striking features of Rock Church, and take in nature's colorful creations at Observatory Hill Park. To find maps, reviews, other places to visit, and other tourist information, refer to the Helsinki trip app . Sao Paulo, Brazil to Helsinki is an approximately 20-hour flight. You can also do a combination of bus and flight. The time zone changes from Brasilia Time to Eastern European Time, which is usually a 5 hour difference. Traveling from Sao Paulo in March, things will get much colder in Helsinki: highs are around 3°C and lows about -5°C. Finish up your sightseeing early on the 11th (Mon) so you can travel to Rovaniemi. Start off your visit on the 12th (Tue): take an exotic tour of a safari tour, then stop by LAURI, then see Santa Claus Office, and finally find something for the whole family at Santa Claus Village. On the next day, see the interesting displays at Santa's House of Snowmobiles, Head underground at Syvasenvaara Fell, then explore the different monuments and memorials at German Soldier s Cemetery, and finally take an in-depth tour of Arktikum. 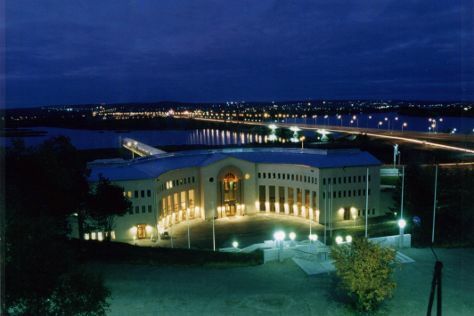 To find where to stay, maps, more things to do, and tourist information, read Rovaniemi tour itinerary builder site . Traveling by flight from Helsinki to Rovaniemi takes 4 hours. Alternatively, you can do a combination of flight and train; or drive. Traveling from Helsinki in March, things will get little chillier in Rovaniemi: highs are around -1°C and lows about -9°C. Finish your sightseeing early on the 13th (Wed) so you can travel back home.